$6.85 ea. $4.40 ea. $3.15 ea. 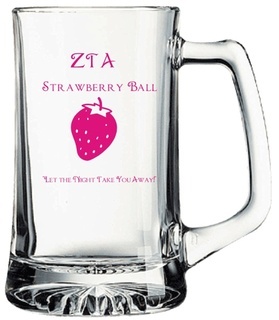 Custom printed 12 ounce sports mugs are a Greek favorite. The practical and attractive mugs feature weighted bottoms, straight sides and oversized handles to make enjoying your favorite beverage easier than ever. 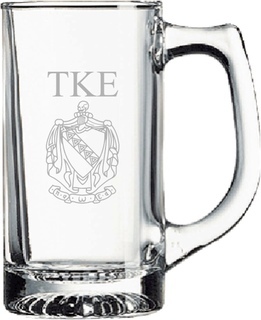 The clear glass mugs can also be customized with your own printed design honoring your favorite fraternity or sorority. They also make excellent souvenirs for special events such as mixers, inductions and more. 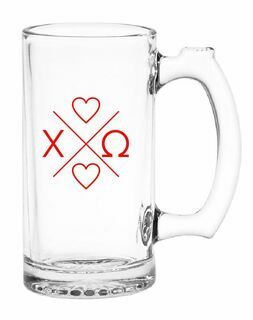 We'll even create a custom design for your wedding, bachelor or bachelorette party, or family reunion! 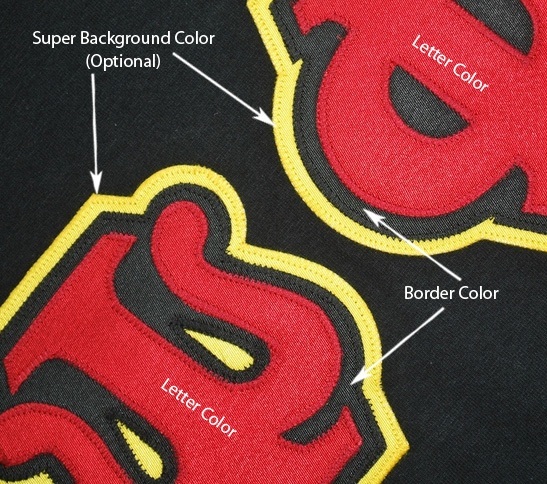 Our simple online design system makes creating your own custom sports mugs easier than ever. We have a variety of crests, Greek letters and clip art to choose from, so you can put together a masterpiece in just minutes. Need help? 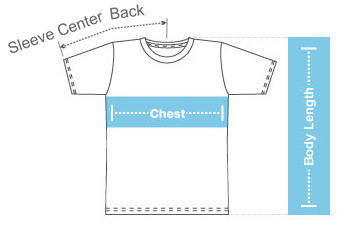 Our expert designers are able to assist by creating a design that meets your specifications. Proofs are ready in just one working day. 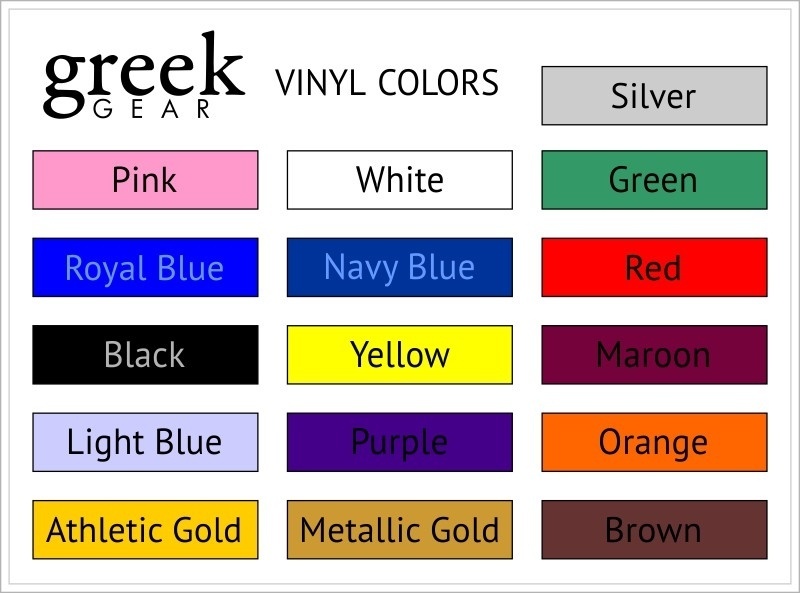 Please note that custom sport mugs are printed in one color only. A $40 setup charge and 36-piece minimum order applies to all printed glassware.